Besides seat width, the greatest factor impacting passenger comfort is pitch — the distance from the back of your seat to the back of the seat in front. 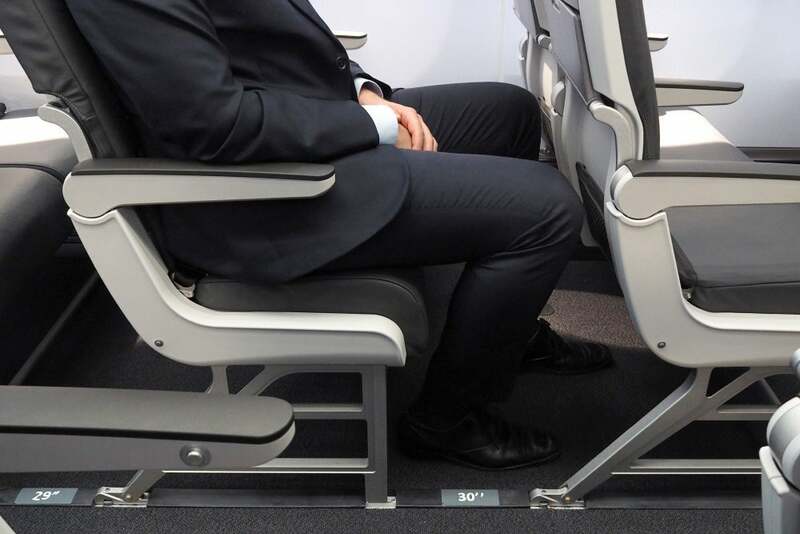 Some airlines make a point of providing as much legroom as reasonably possible, while others really don’t seem to mind minimizing pitch in order to squeeze in additional customers, costing passengers a comfortable in-flight experience. 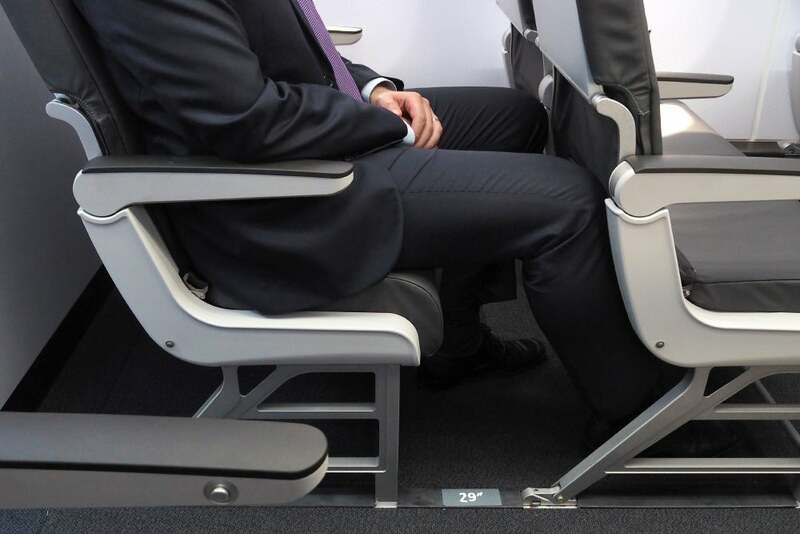 While touring Embraer’s new E2 regional jet at the Farnborough Air Show, I had a chance to experience first-hand what impact seat pitch has on legroom. On board the aircraft manufacturer’s mock-up were different examples of seat pitch, ranging from a super comfy 34 inches to a miserable 29. 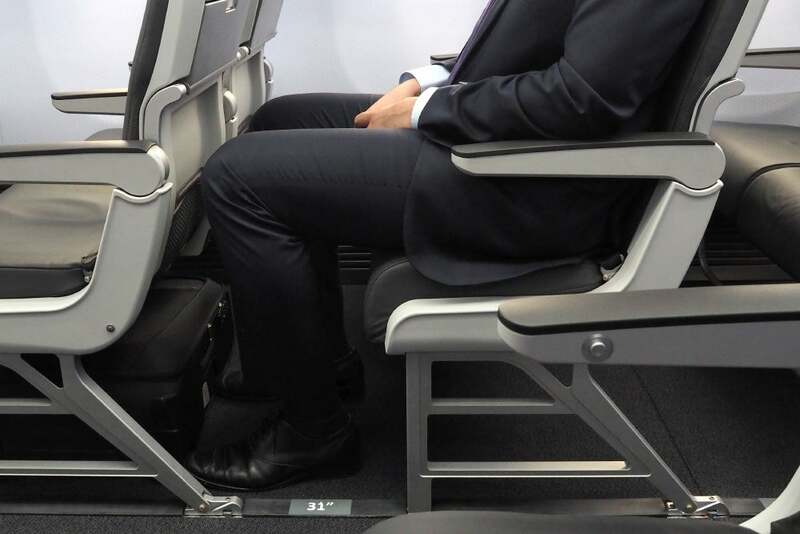 Read on to see just how much this major airline decision affects your in-flight comfort — for reference, I asked a 5’11” Embraer rep to sit in each row. First up is a seat with 34 inches of pitch — this is what JetBlue offers all of its customers flying on the A320 (with no additional fee), and one inch more than you’ll find with standard seats on JetBlue’s A321. JAL also offers 33 inches of pitch on its 787. 34 inches of seat pitch. Next, we have a row with 31 inches of pitch — the same amount you’ll find with most US airline seats, including those on planes operated by American, Delta and United. 31 inches of seat pitch. 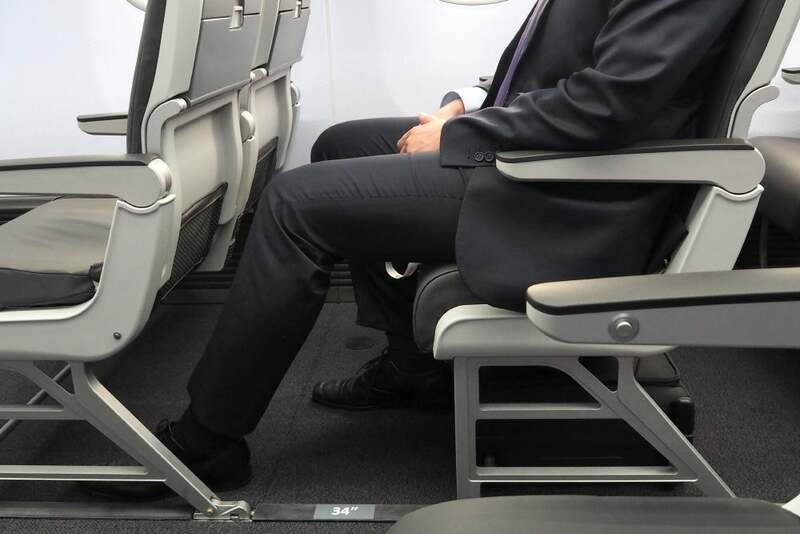 Some US airlines also offer 30 inches of pitch with standard seats — you can see what this looks like below. 30 inches of seat pitch. 29.5 inches of seat pitch. 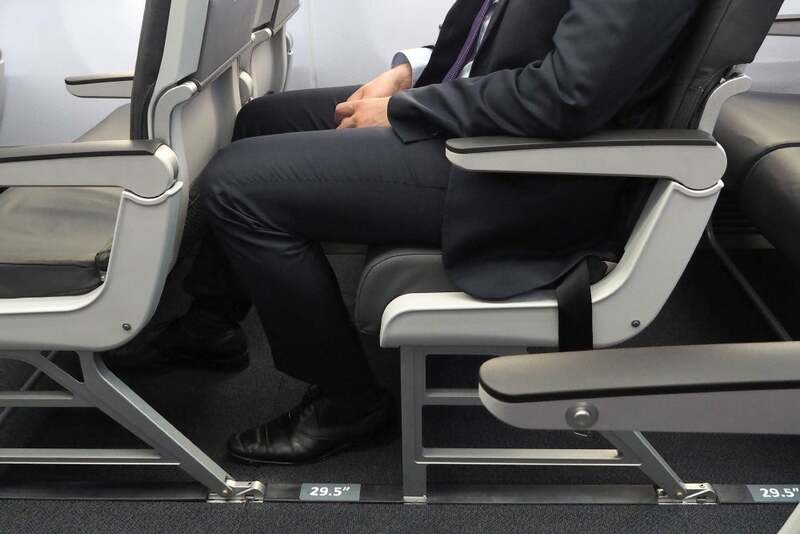 Finally, at the back of the mock-up cabin was a row of seats with 29 inches of pitch — which, while tight, is more than you’ll find on some low-cost carriers, such as Spirit Airlines, which offers just 28 inches. This is the same amount I encountered on Cebu Pacific, which, as you can see in this photo, isn’t especially comfortable. 29 inches of seat pitch. Ultimately, seat pitch really makes a huge difference when it comes to your in-flight comfort. It matters a bit less on a short-haul flight, which is where you’re likely to encounter a regional jet like the Embraer above, but it you’re traveling on a transcontinental flight or you’re flying overseas, it pays to research your airline’s seating before you pull the trigger on a cheap flight.